Support the backup for Android, iOS, Sysmbian and most of featured phones. 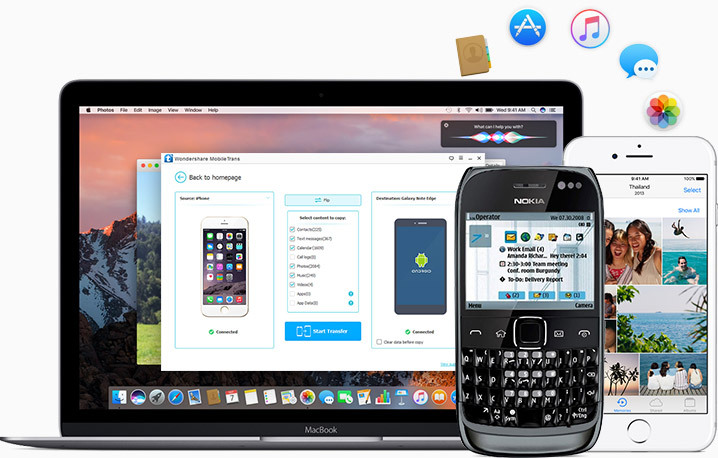 Create a safe and complete backup for your phone or tablet in just a few minutes - faster than any other tool in the market. 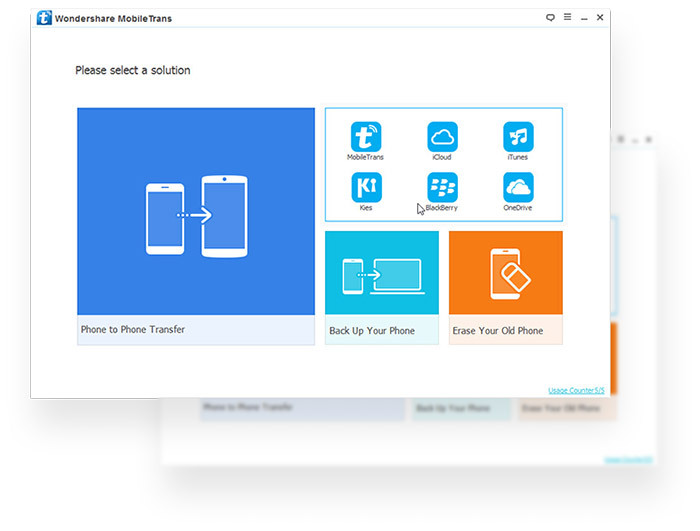 Retrieve data from backup files created by other mobile managers - such as iTunes, Samsung Kies, Blackberry, MobileGo etc. One function and for all! MobileTrans has designed modules that bundled with the star functions, which helps users to make their digital life simple and straight-forward. This program goes far beyond anything iTunes allows by making it extremely easy to quickly transfer files from my iPhone to other phones. MobileTrans includes many features, including backup & restore data and the ability to transfer content between 2 devices, that make it worth its price. It makes my life easier, and the added SMS backup and multi-device transfer systems are great features to have. Thanks! I manage to transfer my whole music to my cool new Android device. It really works well. MobileTrans helps to root my device in a simple process that also requires only one click.